If you have ever wondered whether there was a connection between gut problems and stress levels, rest assured I have wondered the same thing! I have put together this guide to the ways our gut and our minds are linked, and the best natural supplements to help bring them back into balance. Stress is something I think we all have to deal with at some point in this day and age, but I have often wondered whether there was a connection between stress levels and the gut issues which so many of us deal with as well. Recently I talked about the link between gut health and skin, but I have since found that our gut health and mental health are actually linked too. Of course some gut issues and forms of stress may need professional treatment, but there are natural supplementsavailable to help those of us wanting a helping hand with restoring balance. Put simply, your mental health and your gut health are usually reliant upon each other. Some research suggests that your brain and gastrointestinal system are interconnected, meaning that mental stress or anxiety can negatively affect your gut by throwing it out of balance, and gut problems can in turn worsen stress levels over time.1 When you are stressed, you are less likely to get a good night’s sleep, and lack of sleep can affect your gut flora and immune system and potentially lead to digestive issues and health problems. If you have ongoing problems with conditions such as Irritable Bowel Syndrome, you are also likely to be faced with stress, with up to half of IBS sufferers also dealing with depression or anxiety.2 Because of this connection, it is really important to look after both your mental health and digestive system by creating healthy lifestyle habits. To find out more about how to control stress and anxiety, read my blog post here. 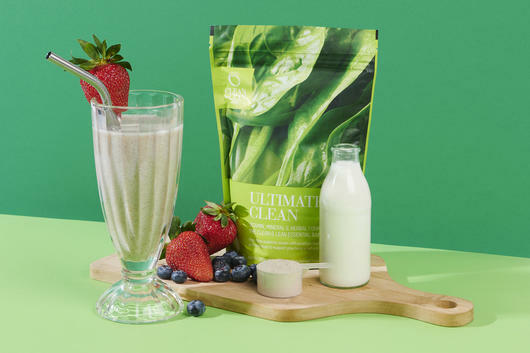 Ideal for daily use as a probiotic supplement, the Bodyism Ultimate Clean powder contains soluble and insoluble fibres to help support the digestive system and promote better gut function. 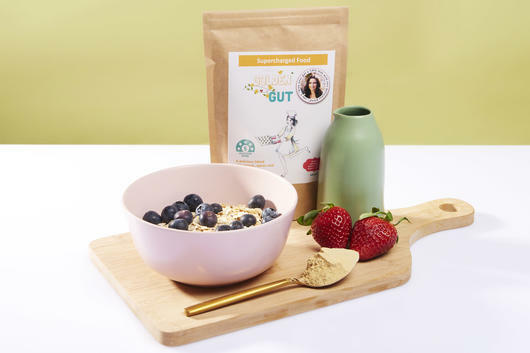 Rich in natural ingredients known to assist digestion, such as Psyllium, Slippery Elm and Fermented Rice Bran, this nutritious blend is also rich in proteins and anti-inflammatories, and has a delicious mixed berry flavour. Add 10g to your favourite smoothie for a delicious boost after breakfast and to help get your digestion kickstarted for the day. Many people find Apple Cider Vinegar a great supplement for maintaining gut health thanks to its probiotic and nutrient rich properties but can find it hard to stomach because of the strong taste. I really recommend the Life Botanics Apple Cider Vinegar Capsules as a much more convenient yet still effective way of consuming ACV. 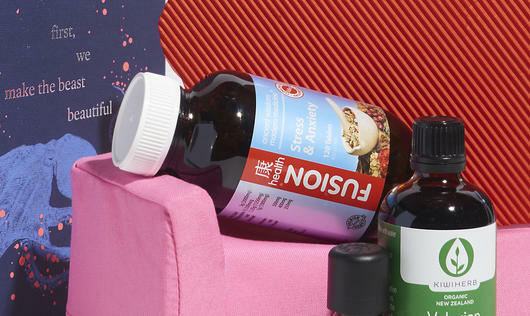 Packed with the same good bacteria and ‘mother’ culture found in liquid raw ACV, these vegan capsules can be taken up to three times a day before meals to help support digestive function and inner health. Find out more about the benefits of Apple Cider Vinegar in my blog post here. Perfect for adding to your chai latte, porridge, smoothies or even soups, the Supercharged Food Golden Gut Powder contains a blend of Diatomaceous Earth, Turmeric, Ginger, Cinnamon and Black Pepper to provide the gut with natural anti-inflammatories and help to alkalise the body. Diatomaceous Earth is rich in Iron, which is known to help prevent tiredness and fatigue, as well as Silica, which helps to maintain healthy gut function as well as support skin health. With a warm and spicy flavour, this Vegan and Gluten Free powder can be taken daily. If you’d prefer the benefits without the earthy Turmeric flavour, opt for the original plain Heal Your Gut Powder. Designed to help ease feelings of stress and tension, the Fusion Health Stress & Anxiety tablets contain a herbal blend of natural ingredients including Holy Basil, Ginseng and Citrus Peel to help relax both mind and body. Taken during times of intense stress such as work pressure or exam time, this herbal formula can help to ease the burden of stress on the body thanks to its remedial properties. Use only as directed on the label. If symptoms persist consult your healthcare practitioner. A pure Reishi Mushroom powdered formula, the SuperFeast Wild-Crafted Reishi Mushroom Powdered Extract helps to both calm the mind and restore gut health thanks to the natural anti-inflammatory and soothing properties of Reishi. Used for thousands of years in China, Reishi Mushroom is known for its ability to relieve stress and anxiety and protect organ function with its nutrient rich properties. Gluten Free and Vegan, this concentrated, non-heat sensitive powder can be consumed daily in tea, coffee or smoothies, with a recommended daily serve of one teaspoon. Sleep is essential in both controlling stress levels and maintaining gut health as it’s an ideal time for the body to restore itself, so I recommend trying a herbal sleep tea like the WelleCo Sleep Welleblend if you are prone to restlessness each night. Formulated with naturally calming and sedative ingredient such as Lemon Balm, Passionflower, Skullcap and Valerian, this mild, fruity-tasting tea encourages the mind and body to start winding down for the night and fall into a deep sleep. Vegan and free from refined sugar, soy, wheat and dairy, this natural sleep aid can be consumed before bed to ensure a good night’s sleep. Sources: 1 Harvard Health Publishing, 2 The Conversation. let me recognize so that I may just subscribe.